The Turks and Caicos Collection hotels offer amazing all-inclusive vacation experiences for our guests. All-Inclusive not for you? Are you sure? Gone are the days where all-inclusive meant not leaving the property to explore, or only eating poor quality buffet food and cheap drinks. 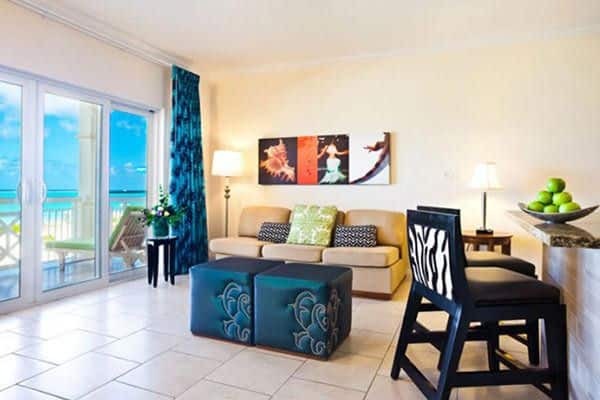 Turks and Caicos Collection Resorts banishes those perceptions! Let us tell you a few things about what all-inclusive means to us, and then let you decide if it could be for you. For Turks and Caicos Collection, “All Inclusive” means enjoying the entire collection when you book to stay at one. So whether you choose to lay your head at Alexandra Resort, Beach House, or Blue Haven Resort, you will have full access to each of the other properties for dining, drinking, beach activities, and more. Our three resorts are very different, so whether you’re looking for a fun-for-all-ages venue with family activities, quaint peaceful luxury, or upscale serenity and privacy mixed with adventure, we have the resort to suit you. All-inclusive means all meals, premium drinks, snacks and resort activities as well as of course, your accommodation are included when you book. We have 8 bars and 9 restaurants for guests to choose from so you can dine-around the three hotels using the complimentary resort shuttle. This is a fantastic feature not many all-inclusive resorts can offer, and it means you will really get to experience the stunning scenery and other parts of the island, all whilst having the convenience of putting the wallet away. Some of the all-inclusive resort amenities you’ll discover at Turks and Caicos Collection are sailing, kayaking, stand up paddle boarding, water trampolines, floating bean bags or water hammocks, beach volleyball, tennis, oversize chess, bicycles, hammocks between the palm trees, fitness rooms, kids club, and of course, swimming pools, two of which have swim-up bars. We also have two on-site spas for an additional fee, and water sports, fishing, scuba and eco-excursions nearby which our guest services team will happily assist you with booking tours and excursions. There is a daily activity program and evening entertainment! Rum punches in paradise are just a short ride away… See you on the beach!